A bonanza of multiple offers means many home sellers can choose whichever buyer’s bid they like best. THINKSTOCK Home sellers are affected by the type of mortgage their buyers choose. THINKSTOCK A conventional mortgage is a home loan that is not insured or guaranteed by a government agency. From a seller's perspective, conventional financing is generally worse than cash and better than an FHA loan or VA loan. The temptation to grab the highest price and call it a deal is naturally strong. But price isn’t the only factor that sellers should consider. Financing affects sellers, too — because if something goes wrong with the mortgage, the sale might not close. From the seller’s perspective, here are pros and cons of four types of homebuyer financing. The best financing is no financing. Cash is so attractive that some sellers will accept a slightly lower sale price from a buyer who doesn’t need a loan. 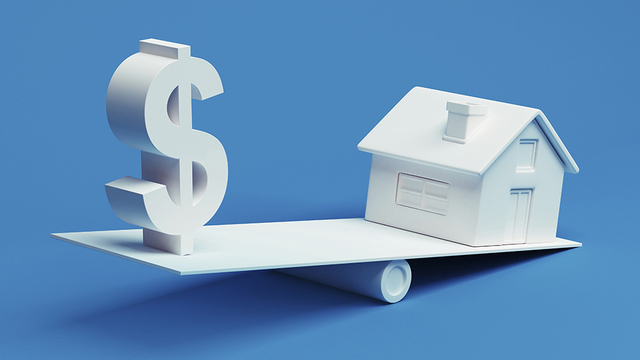 “Sometimes a seller might choose a cash offer over financing because they want or need to close sooner and that would be a much faster transaction with less contingencies,” says Mark Fleysher, broker-manager at Sellstate Deluxe Realty in Las Vegas. One reason a cash sale is advantageous is that no appraisal is required. The lack of an appraisal can make the sale go through more quickly. And it eliminates the risk the valuation could fall short of the agreed-upon sale price. “At the end of the day, that’s the problem a seller faces: They might have a great buyer whose financing blows up on them because the sale price exceeds the appraised value,” says Rob McAllister, a mortgage broker with West Seattle Mortgage. Condominiums also create preferences for cash because in some cases, cash is the only way a seller can transfer a condo. A conventional mortgage is a home loan that is not insured or guaranteed by a government agency. From a seller’s perspective, conventional financing is generally worse than cash and better than an FHA loan or VA loan. There are exceptions, so sellers should consider carefully rather than select a buyer’s offer solely on this basis. One advantage of conventional financing is that appraisal-triggered repairs are uncommon. “With conventional financing, appraisers don’t really take a close look at the house. If there’s something obvious and unavoidable, they will note it in their appraisal … but that is a really rare occurrence,” says McAllister. Buyers might still want sellers to address problems found by a home inspector. Transactions with conventional financing also can close relatively quickly, although not as fast as cash. On the other hand, conventional financing, like most other loan types, is subject to loan limits. “You can’t use a regular conventional loan to buy a $2 million home, so if someone comes to that seller and says, ‘We’re getting conventional financing,’ that would be a jumbo loan,” says Fleysher. A mortgage that is insured by the Federal Housing Administration. The minimum down payment (or owner’s equity in a refinance) is 3.5 percent. As of 2016, a jumbo loan is defined as a mortgage for more than $417,000 in most areas, and for more than $625,500 in the highest-cost areas. FHA loans, insured by the Federal Housing Administration, generally appeal to buyers who have impaired credit or not much cash. The FHA minimum down payment is 3.5 percent of the purchase price. That “is really targeted toward someone who doesn’t have enough capital to put more down,” says Fleysher. FHA buyers can be costly for sellers. Repairs might be required to satisfy an appraisal contingency. Sellers might be asked to pay a larger share of the closing costs or contribute funds toward home renovations or upgrades. The deal might take longer to close. Or all of the above. “An FHA or VA appraisal may be a little more difficult because the regulations are a little different for those government-backed loans,” Fleysher says. Some sellers like VA loans, guaranteed by the U.S. Department of Veterans Affairs, because they like the idea of helping military service personnel, veterans and other VA-eligible buyers. A mortgage that is guaranteed by the Department of Veterans affairs. For qualified homebuyers, no down payment is required. Still, there are downsides. “With VA financing, a lot of times there is a punch list of items that need to be remedied prior to close. A seller just doesn’t want to deal with those, so there is a little bit of a disadvantage, maybe, for a VA loan over other options,” McAllister says.